The prosecutors with Team Letten practiced no transparency there folks. 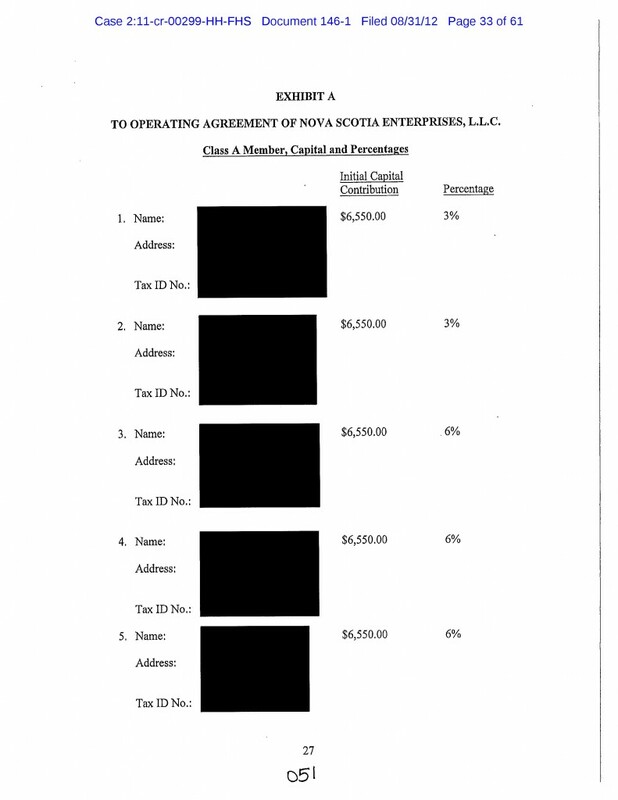 I mean heck, if Broussard was guilty of being bribed by these mystery owners of Nova Scotia Enterprises it sure stands to reason the owners are guilty of bribing him yet in court filings these people get a pass. And then you have Broussard’s shadow law partner Danny Abel along with his boys Charles Leary and Vaughn Perret at Trout Point Lodge that actually ran Nova Scotia Enterprises. We know this from court filings in the Canadian SLAPP suit Leary and Perret filed against Fox 8 in Yarmouth Nova Scotia they up and admitted everything when it suited their purposes of trying to use abusive foreign defamation laws to shake down American Media outlets. Slabbed is calling on Interim US Attorney Dana Boente to thoroughly review the handling of USA v Broussard including the decision to give passes to the corrupt business people that bribed or facilitated bribing Aaron Broussard. The cesspool must be totally drained. Criminal acts abound here, it is time everyone is called to account. Jim Letten, Sal Perricone, Jan Mann, et al. have done a great disservice to the taxpaying, law abiding citizens of the Eastern District of La. Becasue of their narcissism, criminals will be released from jail, indicted criminals will never go to jail and corruption will soon rise to the pre- Letten days. I agree on the disservice part. I disagree anyone will walk because of it with the possible exception of Dominick Fazzio. I hope you are right Doug. But look at the facts: Aaron Broussard shooting off his big mouth. Wilkinson, Coulon, Whitmer still out there selling insurance, etc. Hingle, still walking around free as a bird. Heebe, still not indicted. Nagin, still not indicted. Danziger case unwinding as we speak. Why are you so optimistic? None of those facts have anything to do with Sal and Jan playing on the internet. In fact I must admit I liked seeing Broussard make a mockery of the justice process. It will no doubt do much to curry favor with Judge Head come sentencing time. Dat’s soa’ good Lil’ Nap, done put yo’ Lil’ Sh*t Lolly Poop in reverse, vacate yo’ plea and full speed ahead so da’ Virginian lawman can try yo’ on yo’ 38 counts which should really be bout’ 69 counts, yo’ cryin’ POS. Nova Scotia, Super 8, da’ Goats, da’ gigglies and all dat jazz .